* – Pack in bike bag, as you will need them to unpack the bike on the beach. Why not a hard bike box? As carrying this whilst you are touring would be very difficult! – and posting it back isn’t an option. You need something you can leave behind. Even a canvas bike bag would be an extra 4kg to cycle with. 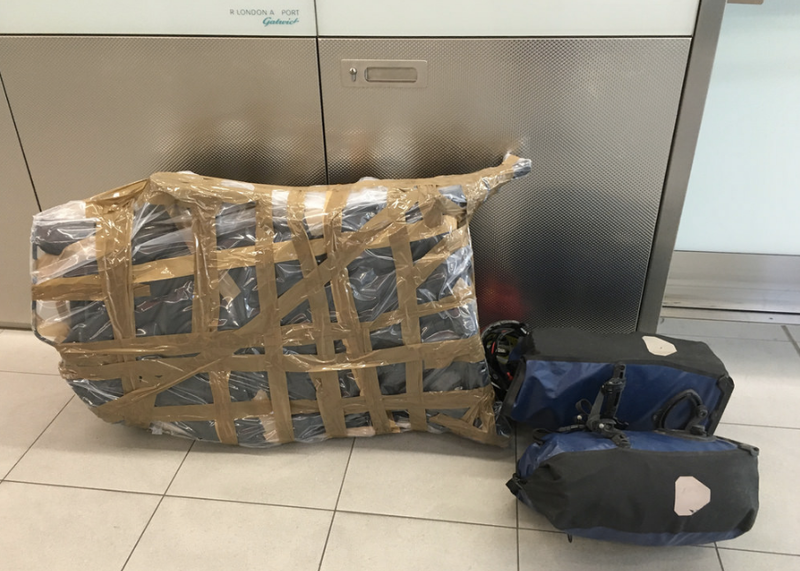 Carrying bike on BA – counts as hold item, therefore you will not be charged for this, but it does vary depending on flights. British Airways will accept non-motorised bicycles up to 190cm (75in) in length, provided they are packed in a recognised bicycle bag.